The lower Russian River area has been a haven for tourism since the late 1800’s. It’s beautiful rolling Redwood forested mountains, clean clear water, and proximity to the coast has brought people from all over the Bay Area. Beginning in the early 1900’s the area became known as the Russian River Resort Area and still is to this day. At that time the river was alive with dance halls, local community centers for family gatherings, and the river was deep enough for boats to travel up and down its banks. Today the lower Russian River is still a water users paradise with people paddling canoes and kayaks up and down its banks. There are still vacation communities even though the dance halls are a thing of the past. The area is also known internationally for its grapes and fine wine. In recent years the community of Guerneville has begun known for its restaurants to range from French Cuisine, to Raw Seafood. The famous beaches of Johnsons Beach, Monte Rio Beach and Villa Grande Beach draw people to the water to escape the summer heat. From Healdsburg to the ocean there are many kayak and canoe livery businesses including Burkes Canoes in Forestville and Kings Sport and Tackle in Guerneville that has been a town anchor for over 60 years. Years of logging and urban growth have caused devastating effects on the river. Without the trees to hold the soil during heavy rains excessive loads of gravel and silt were pouring into the river system causing the cold deep pools to fill in. Add the two dams that have held back necessary water but also silt and when the floodgates are opened in the winter, that silt pours into the river as well helping in inadvertently filling in the rivers deep pools. The once long deep runs and pools of the river are becoming a thing of the past, so much so that during the low summer flows it can become difficult to even paddle a canoe or kayak down the river. Low summer flows, shallower pools with increasingly warmer water, excessive nutrient runoff from river side agricultural use and urban runoff have created a fertile environment for Harmful Algal Blooms (HAB) to flourish. These HAB’s can often contain toxins that are harmful to anybody using the water as well as to those things that live in the water. The HAB’s are getting so bad that they are blooming as early as April and lasting until the water flushes from the winter rains. If the Fish Flow Project comes to fruition we can plan to see the river completely choked off with algae in the summer time, the flow will be so low people will not be able to use the river to kayak or canoe, and the whole community will be at a loss due to the lack of people that want to come to play in the river. The lower Russian River Community is solely based on tourism and that season is short. You make your money from Memorial Day to Labor Day and hope it’s enough to carry you through the winter. During this summer period the river draws huge population of people into the community and they spend money on hotels, restaurants, local merchants, river recreation, and more. This is not a threat but reality. Last year when the Toxic Blue-Green Algae scare was on the cover of newspapers in the Bay Area right before Labor Day weekend, Kings Sport & Tackle alone saw a drop in business by 30% for the rest of the fall season! 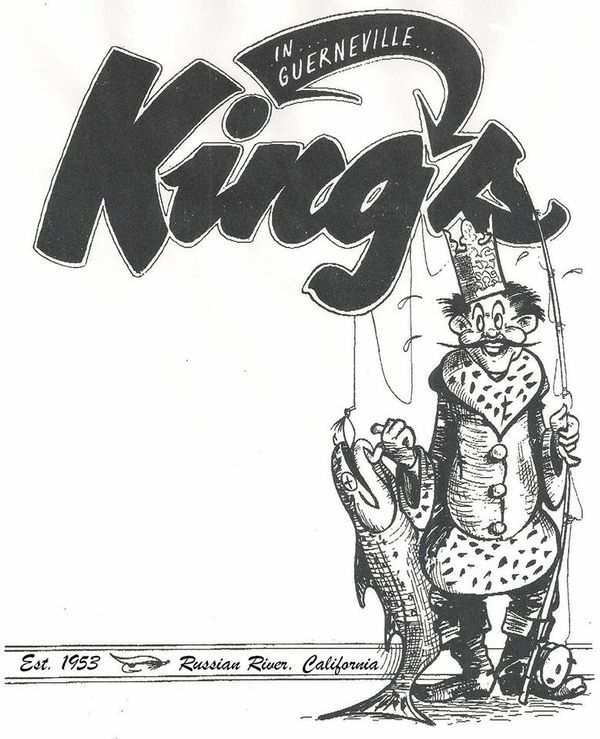 If that news had come out in June Kings Sport and Tackle would certainly be out of business. If the Fish Flow Project goes through, the economic hit to the lower Russian River if not the entire river will be devastating. The people that come to enjoy the water will not come because they do not want to get into a river that is loaded with toxic algae due to low flows. And those that come to paddle the river regardless won’t be able to because there won’t be enough water to paddle in. Once the flows get below 90 cfs people have to get out of their boats in areas to drag them through the shallow riffles. 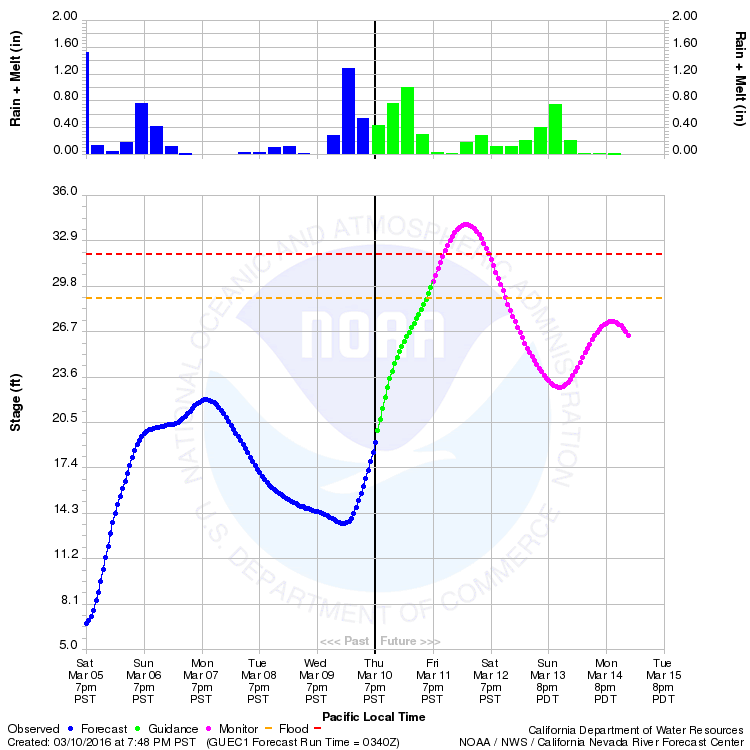 At less than 75 cfs it would be easier to walk the river than paddle in it. Without the people here to use the river, there won't be a river community for people to stay in Hotels, B&BS, and vacation homes, recreate in the water or eat in the restaurants. Without the tourism, the locals will have to leave to find other work and the community will go extinct.